Description: Recommended enhancement: Wizard. Dage's promises fulfilled to his Undead Legion. Special Effects: Dark Casters gain mana from all hits landed in combat, and especially on crits. The amount depends on damage relative to *their own* HP total. Description: A malevolent spell unique to Dark Casters. Fire out a long-range blast of dark energy, dealing 100% spell damage with a 20% chance to make your target flinch, stunning them for 1 second. Description: Magically grip your enemy's soul tighter and tighter. Deals moderate damage, also applies Soul Crush which stacks up to 3 times. Each stack reduces your targets damage by 10%. Description: A blast of charged spirit hits your target for light damage. Also applies Soul Burn which stacks up to 5 times. Each stack causes your target to take 8% more damage. Description: Make a pact with the darkness to empower your soul. Heals a small portion of your health, and applies Soul Conflate and Soul Barrier. Soul Conflate increases your outgoing damage by 6% per stack, soul barrier reduces incoming damage by 10% per stack, and both skills stack up to 4. Description: A high damage attack with an additional effect. If your target has 3 stacks of Soul Crush applied, your haste will increase by 20%. If your target has ANY stacks of Soul Burn applied, you will increase your damage resistance by 30%. This skill consumes all stacks of Soul Crush or Soul Burn. Description: Magically grip your enemy's soul tighter and tighter. Deals moderate damage, also applies Soul Crush which stacks up to 3 times. Each stack reduces your targets damage further. Soul Crush replaces any stacks of Soul Burn. Description: A blast of charged spirit hits your target for light damage. Also applies Soul Burn which stacks up to 5 times. Each stack causes your target to take more damage. Soul Burn replaces any stacks of Soul Crush. Description: Regain some mana over time at the cost of losing health over time. Also increases your damage output for a short time. Description: A high damage attack with an additional effect. If your target has 3 stacks of Soul Crush applied, they will be stunned for 4 seconds. If your target has ANY stacks of Soul Burn applied, you will be healed over time. Amount healed increases with stacks of Soul Burn. This skill consumes all stacks of Soul Crush or Soul Burn. Description: Rarely, you will focus all of your dark power into one MASSIVE damage attack, but it will consume all of your mana and half of your remaining life. Previously called "Dark Caster Class". Required to accept the 'Unlock the Immortal Dark Caster' quest. 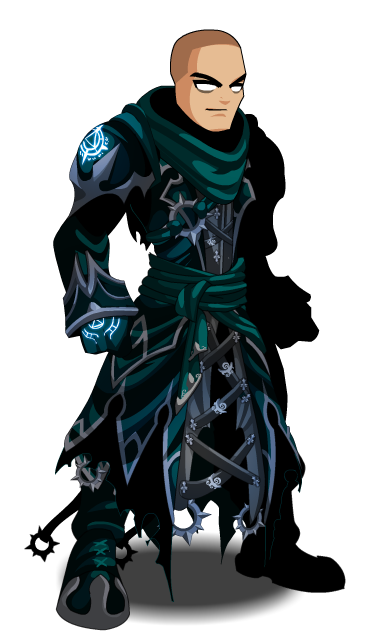 Still accessible to owners of Dark Caster (Armor). Immortal Dark Caster (Class) (0 AC). Immortal Dark Caster (Class) (AC). Thanks to Apus, Blaeku, Koi, Kregoros2, rickyb20, Rezurrect, Shal, and Valoroth.